In one of my much earlier posts, I posted some pictures taken during my trip to Australia. 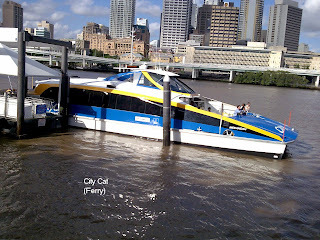 In this post I will write about DIY Travel to Gold Coast and Brisbane. First, the sights and things to do. Gold Coast is about beach, surfing and theme parks. If you are thinking of visiting famous landmarks or natural wonders or picturesque sceneries I don't think Gold Coast should be your destination. But if you want a holiday where you can enjoy and have fun, Gold Coast is one of the easiest DIY destination. Transport: Check out the transfer options to get to Surfers' Paradise from Coolangatta Airport, if you are flying in to Gold Coast. If you fly to Brisbane, then find out about taking a train from the Brisbane Airport to Gold Coast. If you do that, you have to get off at the Nerang Station and take a taxi to your hotel in Surfers's Paradise. Getting around in Gold Coast is easy. The buses bring you right to the doorsteps of the theme parks. Locating the bus-stops would be easy. Gold Coast is quite a new beach resort town and the roads are well planned. Accomodation: There are many holiday resorts in Gold Coast and you can easily get a fully furnished apartment which can accomodate 4 persons for around AUD$ 100-150 per night. We stayed at Trickett Gardens on Trickett Street, very near the beach at Surfers' Paradise and conveniently located near the shopping area. The apartment has a double bed in a separate bedroom and 2 single beds at the dining area. There is also a sofa set, TV, washing machine and dryer as well. There is even a swimming pool and jacuzzi! The theme parks close at 5pm. Some shops stay open till 8 or 9pm . However there are some indoor amusement places to go at night. One of them is INFINITY, an indoor special effects maze which opens from 10am to 10pm, tickets at AUD$23.90 There's even a Haunted House which remains open in the evenings. Food: If you want to do an estimate on how much to spend on food, its about $5 per person per meal for a simple meal which means $20-25 per person per day. But we ended up spending less because we cooked our own dinners. We bought food from the nearby Supermarket and made use of the kitchen facilities.It costs only 20% of the price we pay for eating out. There isn't much to see at night in Australia so you might as well cook your dinner. If you are not really into cooking, you can even buy ready made pizzas or shepherd's pie to bake on your own. A large pizza costs only $5 and all you need to do is to put it in the oven to bake and maybe cook some soup from cans. Look out for special offers in the evening before they close! Movie World. Dreamworld is like a all-in-one theme park where you have nice exciting rides, and also wild life where you can see kangaroos, koala bears as well as sheep shearing show. Warner Brothers' Movieworld is sort of like Disneyland except the characters are different. 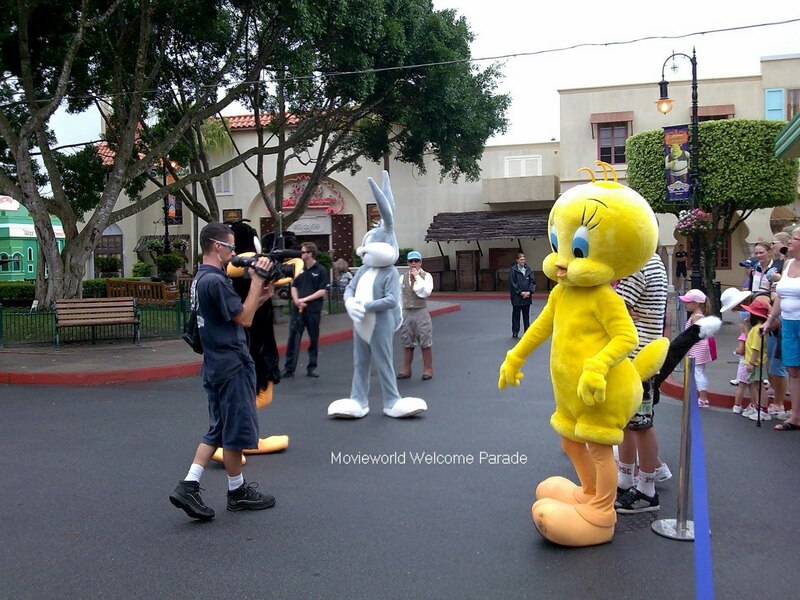 Like Disneyland you have the Parade where you can take photos with your favorite character like Batman or Scooby Doo. 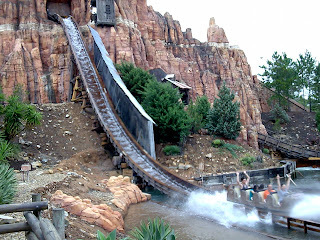 And there are lots of interesting rides including Spooky Coaster ride, my favourite. There is also a Stunt show (Police Academy) with its fair share of laughs and 4-D cinema (Shrek) All in, you can spend a whole day at each of the theme park and get your money's worth (AUD$66) of the entrance tickets. Don't buy the tickets online. You can get it discounted rates at the shopping centres at Surfers' Paradise. You can even bargain with the sales people and they may even give you further discounts especially if you buy more tickets. Besides these two theme parks, there is also Sea World (if you like fish) and the Tropical Fruit Farm or Paradise Country Farm to visit if you have the time. Other than theme parks you might like to head on to the beach to experience the awesome hugh waves (if you dare). We had awonderful time riding the waves. Too bad we didn't have time to learn surfing. 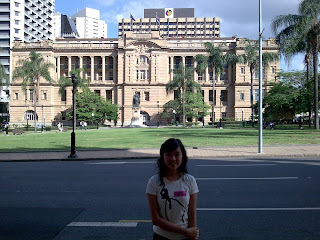 If you are going there through Brisbane, you might want to look around Brisbane city. If you are flying directly to Gold Coast, I wouldn't recommend you take the trip to Brisbane because there isn't much to see there. 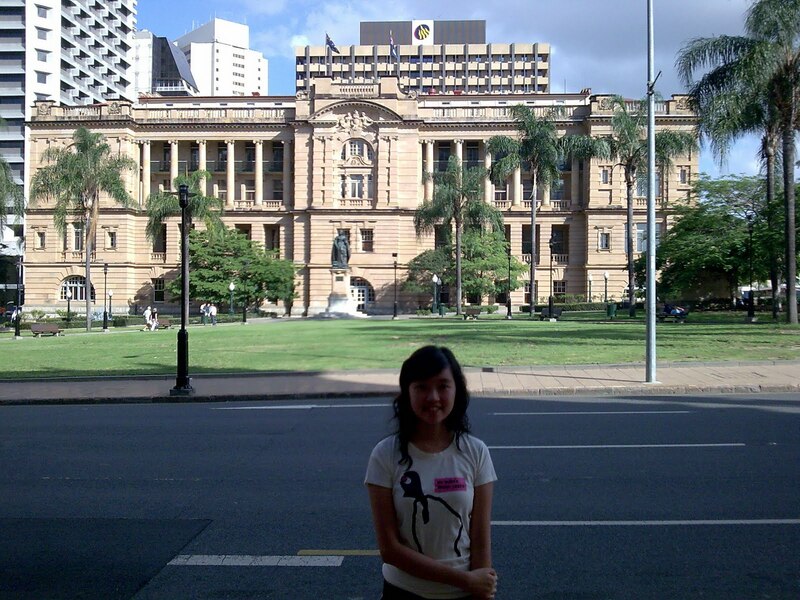 For us, going to Australia was partly to send my daughter to University of Queensland for her student exchange so we flew in to Brisbane and took a train ride to Gold Coast. Here are some of the photos we took in Brisbane.